Thank you to the Steering Group, chaired by Helen Bingham, for bringing their expertise and knowledge to the project team. Thanks also to our wonderful team of library staff who made up the Virtual Reference Group, testing, evaluating and informing the development of the modules. 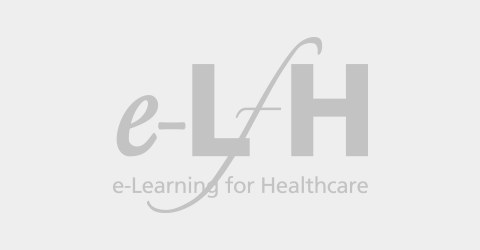 If you already have an account with e-LfH, then you can enrol on to the Literature Searching programme by logging in to the e-LfH Hub, selecting My Account > Enrolment and selecting the programme. You can then access the programme immediately in the My e-Learning section. The Literature Searching programme is freely available for everyone to access by browsing our catalogue and selecting the Literature Searching programme. You will have the option of registering / logging in so that your learning activity is recorded. Please note that if you do not log in, your activity will not be tracked and you will not be able to generate a record of completion. The Literature Searching programme is also available to NHS healthcare staff via the Electronic Staff Record (ESR). Accessing this e-Learning via ESR means that your completions will transfer with you throughout your NHS career. If you would like to register, so your activity will be tracked, then please select the Register button above.